The Rowland singers have been performing in Worthing non-stop since November 1969, and is a well-known choir in the area. Fonant has been involved with running their website since 2001. 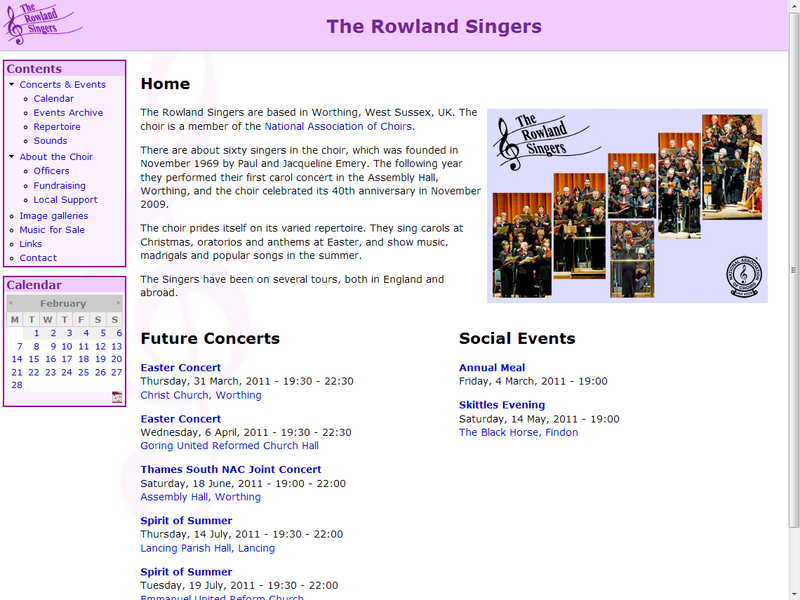 Originally the site used a custom content management system, borrowing the Sussex Concerts database for events listings. In 2010 the site was re-built using Drupal, and all the content migrated across. New features are still being added as time and resources allow.